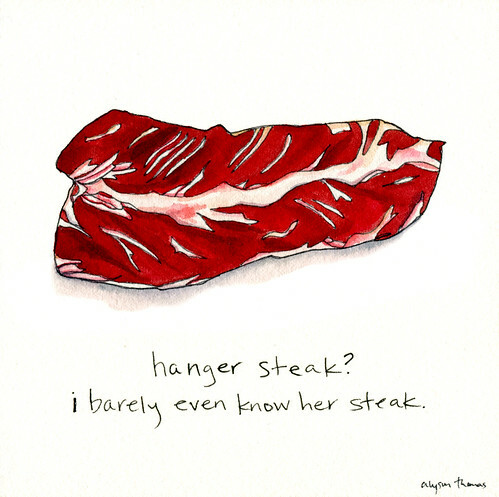 meat sections : hot meat illustrations delivered daily: hanger steak? I clearly have the sense of humor of a 14 year old boy. Available for viewing (and purchase!) at Pot + Pantry, San Francisco, CA until May 27, 2011.